If you've got an electric smoker at your place, then you might need some important tools and accessories that you never heard of. But believe us, having these accessories will give you the best out of your smoker. We would like to make it clear that electric smoker accessories aren't compulsory to buy, but you can have them to experience more convenience. Now, there are various electric smoker accessories available in the market, and some of them can be very useful while some of them are not helpful at all. In this article, we'll be looking at some of the interesting accessories for your analog, digital, or bullet smoker. So if you want to experience more convenience and easier cooking experience, then make sure to go through the list of these accessories. For proper care of your smoker, this accessory is a top choice. It is a must-have accessory for food smokers as it protects them. We all know that a best electric smoker is a big investment for any buyer, so care of such gadget should be on high priority. 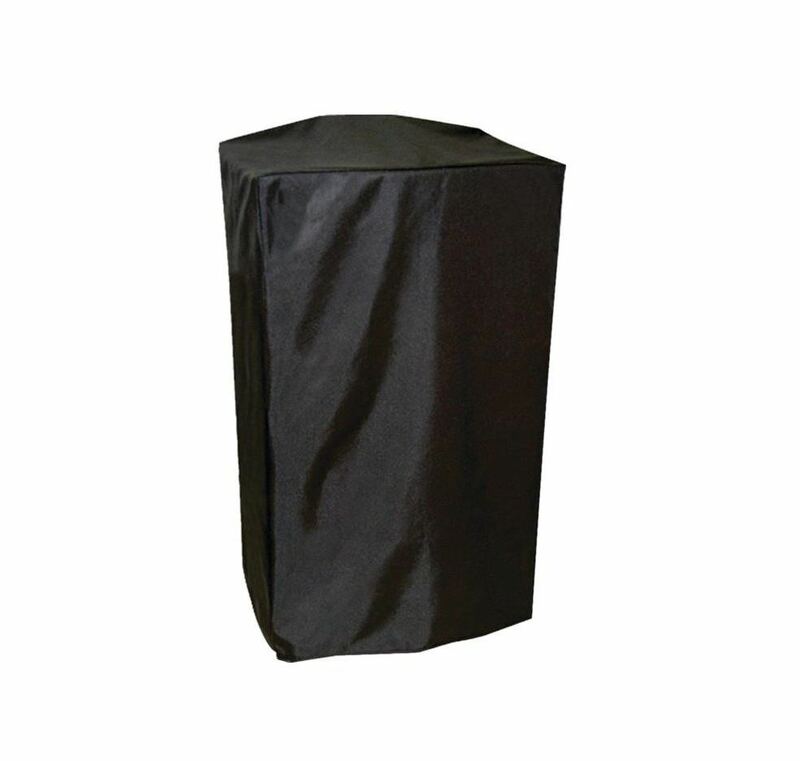 This cover is a protective shield for your smoker which will prevent the unit from dirt and bad weather. 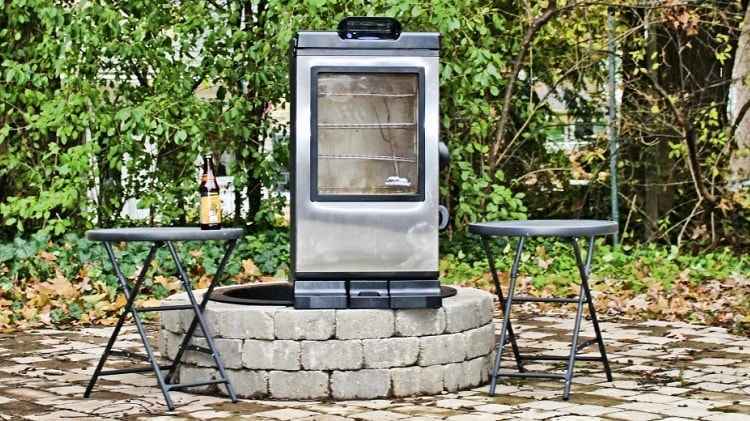 A stand is another one of the important accessories for your smoker. This particular accessory will make the entire process of using your product comfortable. 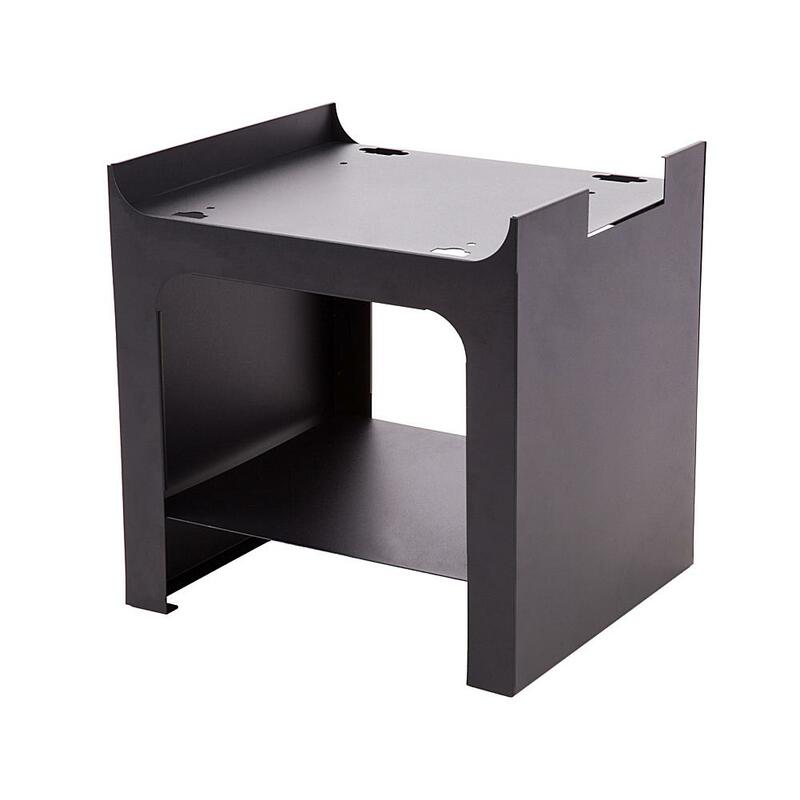 This stand is a kind of small table over which you can place your smoker to lift it by its actual height. This is an excellent choice for the sake of your back. Now, some of the models come with their separate stands, so before buying a new stand take a look at the built-in stand of the smoker. Also, if you put your smoker over the kitchen countertop, then you might end up with burn marks over it. And this is why we recommend a stand for your electric unit. Not many people will recommend you for this one, but this will help to get the most out of your vegetable and fish smoking. Big slabs of meat like ribs can easily occupy space in the metal cooking racks without getting broke. But, some of the delicate foodstuffs like vegetables break apart during the smoking process. These slices of vegetables soak smoke from the surface, so you need support to bind them all. Having a vegetable and fish cooking mat will also prevent your smoker from the problems of dripping grease. 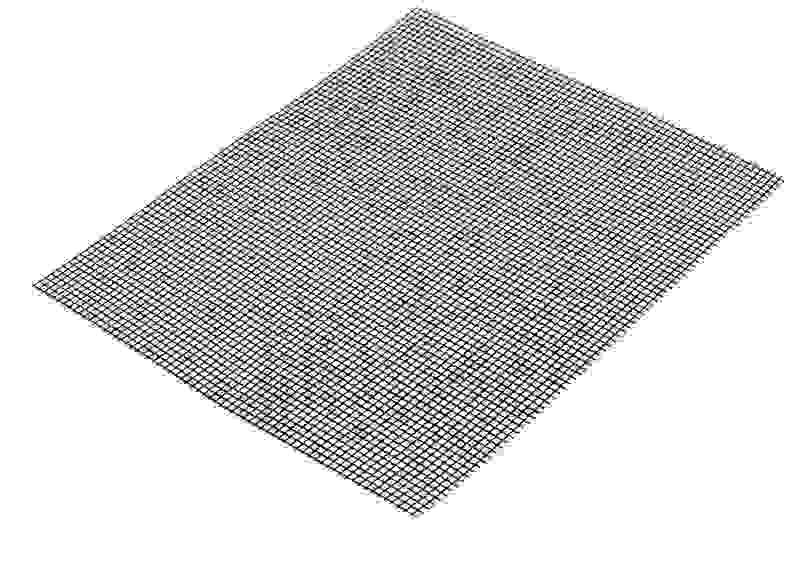 When you use this mat, then some of the greases will be soaked by veggies or fish and will avoid unwanted grease fires. 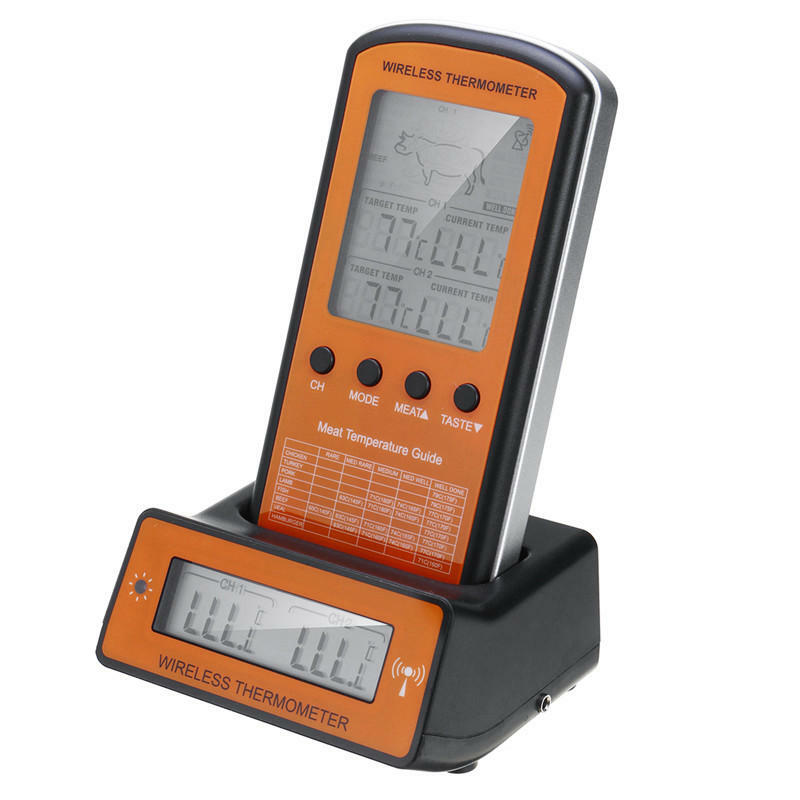 ​​​​​​​​​​Another important accessory for your smoker is wireless meat thermometer. This particular accessory will not help your smoker, but you. Some of the smoker models, especially the analog ones don't come with any thermometer to measure the temperature of the interiors. And at such situation, a wireless meat thermometer will act as a savior for you. One of the most impressive benefits of the wireless thermometer is, you don't have sit around smoker to monitor the temperature. It will notify you the temperature of the interiors. This accessory is extremely advantageous when you're performing slow cooking. When gadgets like wireless thermometer provide you better smoking experience, then you shouldn't miss such tools. For all those smokers or grill users, an apron is a protective clothing cover that is very useful during the entire process. Usually, apron comes with a big pocket on the front which is capable of holding things. Users will also get oven mitts in the front pocket, which are helpful while smoking food. Along with this, it also has a small towel attached with it for cleaning the messy stuff during smoking. 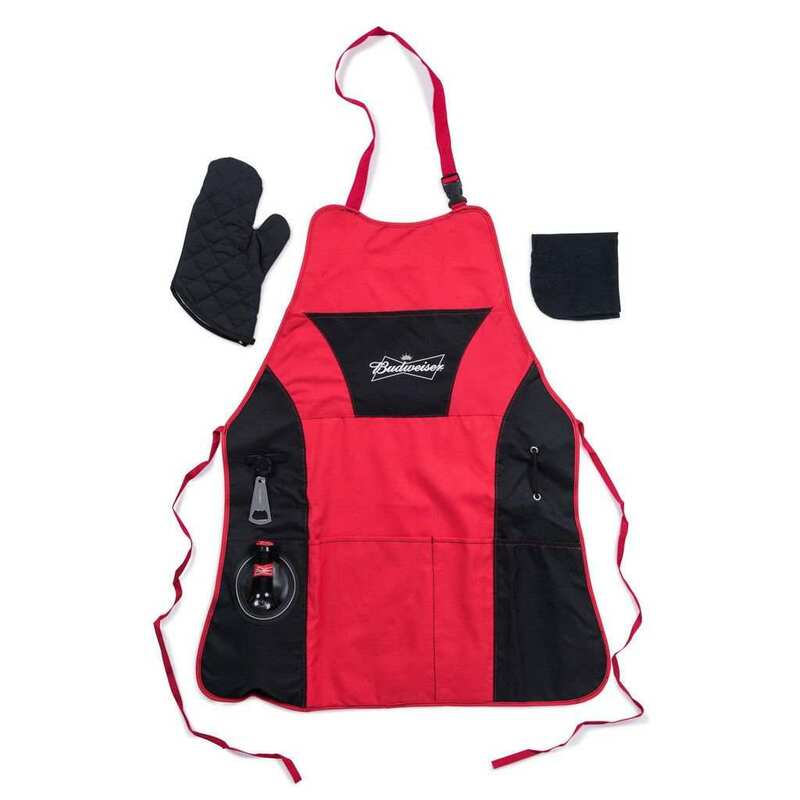 This special apron also has an insulated pocket to the beverages cool. Here, you'll also be provided with a bottle opener. Overall, this apron can turn out to be a good accessory for you because of its unique and useful design. ​We're pretty sure that you must have seen lines of sausages hanging with hooks, and large pieces of meat in mid-air. This traditional method of smoking meat was very popular in the time, and even today many people practice it. That's why we say that sausage hooks are one of the best smoker accessories that provide you the most refined form of smoked sausage. 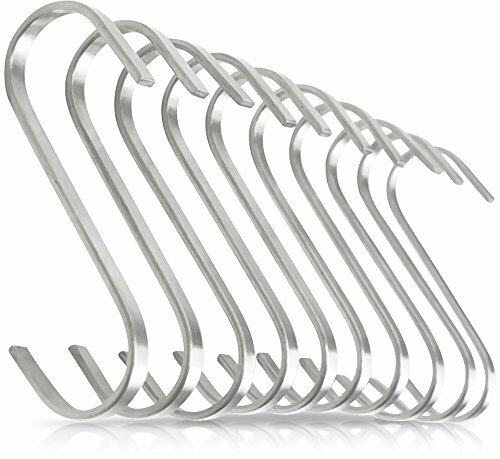 Users can attach these hooks with the cooking racks of the smoker, and in fact, many brands manufacture hooks to be used for this purpose. Hooks are very simple to use. You have to make sure that there's sufficient space to hang the meat freely. You might have to leave the bottom rack empty for doing this activity. Overall, the use of sausage hooks will provide you delicious smoky flavored food ever time. 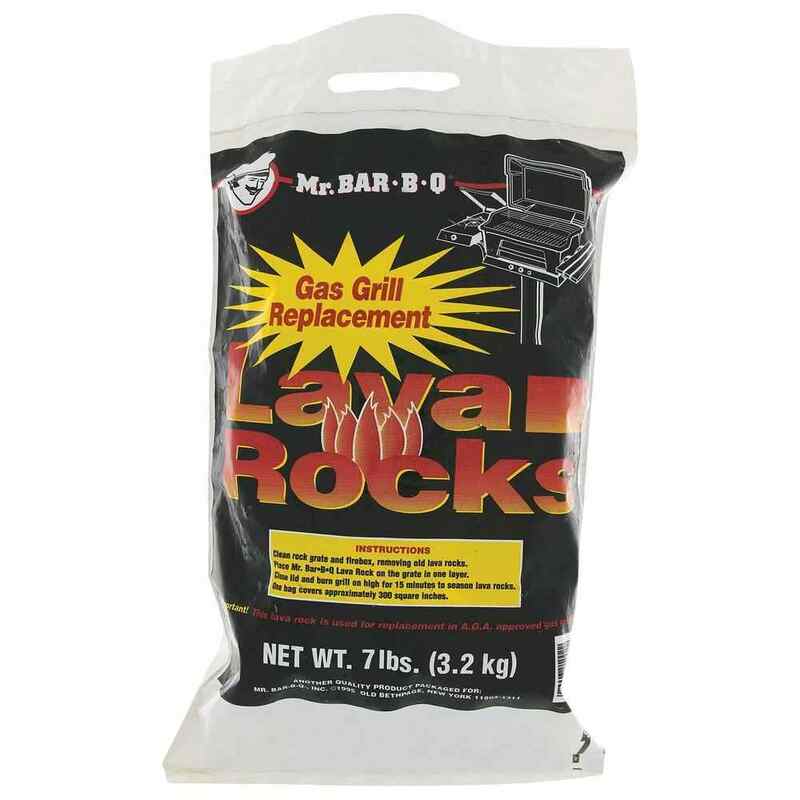 The final accessory for your electric smoker in our list the lava rocks. This lava rocks is not an ordinary accessory, as they are capable of maintaining heat for a longer time. This means that you can turn the smoker off, and leave your food with lava rocks to maintain it hot for a longer time. Moreover, another great thing about lava rocks is you can use them multiple times. This means you don't have to throw the lava rocks after using it once. They don't melt so you can use them again and again. The porous construction of the rocks allows heat to go through the meat and due to this, there's even spread of heat all around the smoker. For smoking your food properly, one row of lava rocks is enough.